Home / Faculty Experts / Michael Marchetti, Ph.D. The Fletcher Jones Professor of Ecology in the department of Biology, Dr. Marchetti's research focuses on freshwater systems with a specific emphasis on fish and aquatic organisms. Dr. Marchetti's current research agenda explores patterns and processes in invasion ecology, ecological effects of altered stream flow (as a result of human intervention), the ecology of freshwater fish larvae, food web alterations in aquatic systems and the general ecology of California salamanders. For more on his reseach, visit his Aquatic Ecology Research webpage. 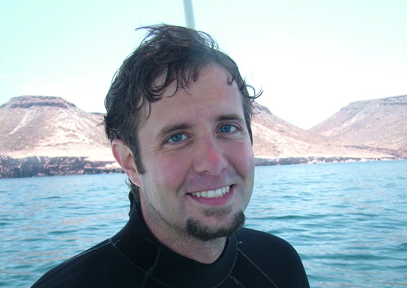 He currently teaches courses on general ecology, biostatistics, marine and aquatic ecology and conservation biology. Dr. Marchetti can address a variety of ecology-related issues such as the role of dams and diversions for stream health, the impact of non-native species on California's ecosystems and the importance of conservation efforts for healthy ecosystems. He can be reached directly via email at mpmarchetti@stmarys-ca.edu or in his office at 925-631-4602.